This is beautiful….so many amazing components, and so well put together. I’m sure you friend will adore it. 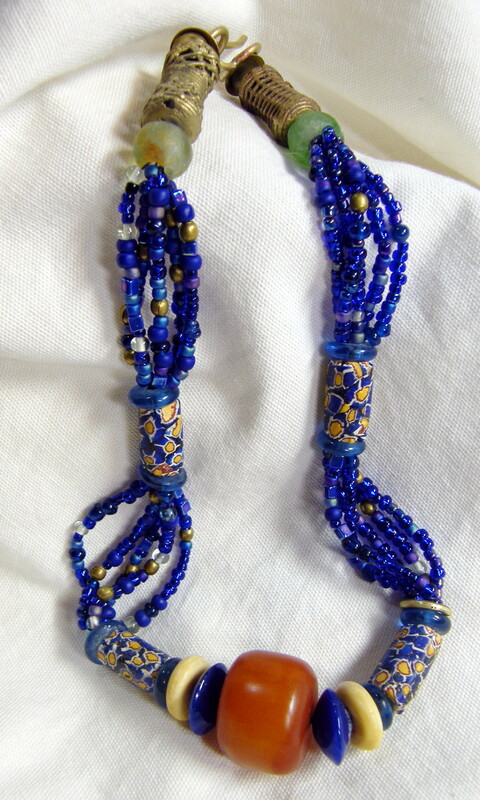 Your tribute piece is a very interesting combination of beads. I think that it is beautiful. Thanx for your story & the bead education. I love the finished piece, and I’m thrilled with the tutorial you included! I’m sure your friend loves the necklace you made for her. The final result is gorgeous! I’m sure the recipient will be thrilled. A beautifully crafted piece! Rich in meaning and memories. I hope you enjoyed the hop. Your necklace is beautiful. I am sure your friend will treasure it. Beautiful – I’m sure your friend will treasure their necklace!